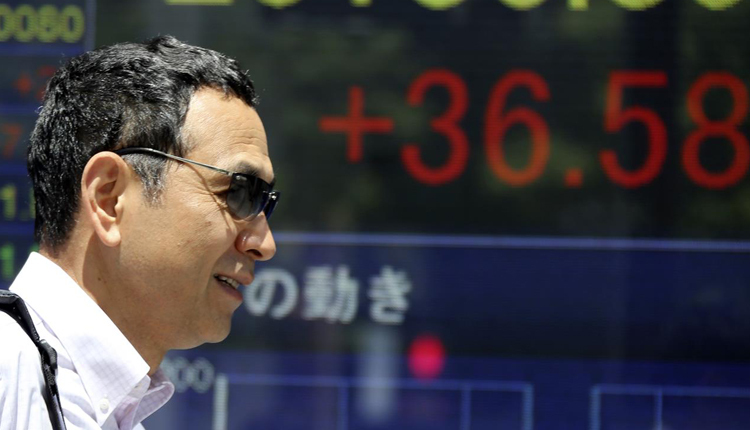 Asian markets traded mixed on Thursday afternoon, while U.S.-China trade hopes are up as negotiations are set to continue. Japan’s Nikkei 225 slipped 0.5 percent in afternoon trade while the Topix declined 0.77 percent as shares of Fast Retailing fell by 2.61 percent. Softbank Group soared more than 17 percent, on the back of its announcement on Wednesday that it would purchase up to 600 billion yen ($5.46 billion) of stock in its largest ever buyback. South Korea’s Kospi returned to positive territory as it advanced 0.3 percent with shares of chipmaker SK Hynix jumping more than 2 percent. Australia’s ASX 200 rose more than 1.2 percent, with almost all sectors trading higher. The heavily weighted financial subindex rose about 1.8 percent as shares of the country’s so-called Big Four Banks advanced. Australia and New Zealand Banking Group gained 1.65 percent, Commonwealth Bank of Australia advanced 2.15 percent, Westpac rose 1.95 percent and National Australia Bank climbed up by 1.26 percent. Meanwhile, on the U.S.-China trade front, U.S. Treasury Secretary Steven Mnuchin told CNBC on Wednesday that he was headed to China next week along with a delegation from Washington for more negotiations. Mnuchin also described the recent meetings with Chinese Vice Premier Liu He as “very productive.” His comments came as the two largest economies in the world are attempting to strike a deal before a deadline in early March, amid an ongoing trade dispute. The U.S. dollar index, which tracks the greenback against a basket of its peers, was at 96.442 after seeing lows around 96.0 yesterday. The Japanese yen traded at 109.97 against the dollar after seeing highs around 109.54 in the previous session. The Australian dollar was at $0.7101 after slipping sharply from highs below $0.725 yesterday. The decline came on the back of Reserve Bank of Australia (RBA) Governor Philip Lowe’s speech on Wednesday.